Q: Is it possible to show a menu item in the simple navigation bar as selected by default to indicate what the current page is? A: The menu has only two states normal and mouseover. You can't get this ID after you reload your page. That is why you should write your own code on PHP. 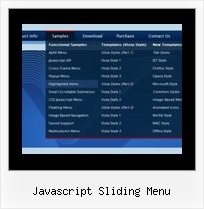 Q: May I can use PHP code in menu items of my dhtml website navigation menu? Q: I want to have the pop up window display as you mouse over an image/link - is this possible? Q: I would like to ask on how can I make the dhtml dropdown menu shadow work in mozilla and in safari? A: Transitional effects (shadow) are features of Internet Explorer 5.5+ only.